Ideally, We could all do with saving a bit extra money either for rainy days or to save up for something specific especially as Christmas is just around the corner... yay!! – as I always say, saving money on purchases and bills means more money in your pocket to spend however you see fit. Here are the 5 easy ways i tend to save money. You could try them as well and you would be amazed on how much you've saved over a short period. I mean, this is a no brainer....I personally tend to overspend when i carry my card around and yes! i tend to spend on loads of irrelevant things but i found out that Withdrawing your budgeted amount of cash per week or month can help to stop you overspending instead of pulling out your card to make every purchase. There is something about seeing the cash in your purse or wallet and handing it over that makes you think twice before making a purchase, even more so if you know that is your complete budget for that week or month. Dealing in cash helps me to save massively on our groceries every month and i try to aim to have at least one note, even if it is £5, left over at the end of the month. I recently booked our family Christmas holiday and i searched for a discount code, used it and got £20 off the total holiday cost. Might seem small but its another £20 that goes into my piggy bank, Yes! i do have a piggy bank where all my extra cash and loose change goes into. 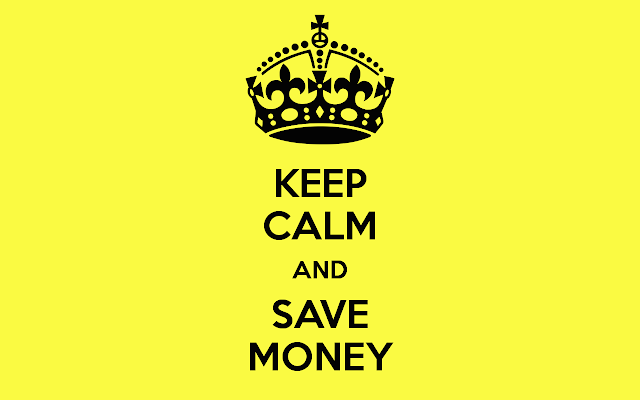 Using online vouchers and discount codes is a really easy way to save money. Simply visit a site for example VouchaCodes to either search for your favorite merchants or scroll through to see the great deals. You can make big savings at your favorite retailers including Disney, Argos and many more. Am a HUGE fan of loyalty programs. I have got Boots, Tesco, Sainsburys and Nandos loyalty cards. I specifically love the Boots and Nandos programs. I recently purchased a lot of Drugstore makeups from boots( I would be doing a review of these soon) my entire purchased totaled £82.60 and guess what, i paid just £11.90, saving a massive £70.70 All thanks to loyalty points accumulated on my advantage card. There are alot of retailers who offer loyalty programs, from Tesco to KFC! Every time that you spend your hard earned money with them, they will reward you with points to convert to vouchers, stamps towards a freebie or even money off your shopping. If you are sick of carrying loyalty cards around with you then you will be pleased to know that many retailers now offer their loyalty program on smart phones. Setting a budget is something i have learnt to do every since i got married. You know how much you get paid every month, and you know roughly what your bills cost every month, but have you sat down to complete a budget? A budget doesn’t necessarily mean cutting back on your spending – you just want to make sure that you have enough money coming in to cover your spending. If you don’t then you either need to increase your income or look at reducing your spending. It helps you have a clear view of your total expenses each month. Creating a meal plan is a great way i save money since starting a family. Meal planning is a simple way to save big on your grocery shopping. By taking a few minutes to plan your meals for the upcoming week you can save money by not buying ingredients that you don’t need, or ingredients that will just go to waste. If you are really organised then you can go through your cupboards, freezer and fridge before meal planning to use up items you already have – which is great the week before pay day! So tell me, What is your number one tip when it comes to saving money?